Pharma and life sciences organizations are conducting research through increasingly complex clinical trials that require access to hard-to-reach patient populations with higher procedural cost. In addition investor emphasis on pharmacoeconomics for each new drug has given rise to the expectation that anything new must be more cost-effective to be embraced by payers. This is driving the industry to adopt innovative technologies that help compress the development life cycle as well as reduce cost. While many eClinical technology vendors are responding well within their respective niches, this increased deployment of technologies is giving rise to “siloing” of data – data that is in some cases re-entered multiple times and has become very hard to manage. Set against this backdrop is Adaptive Clinical Systems, offering of a suite of solutions designed to break down data silos and allow interoperability amongst disparate systems. “Our emphasis on interoperability allows users to not only move data from point A to point B, we call that simple integration, but also to codify complex clinical data processing as the data is moving from one system to the next,” says Sina Adibi, President and CEO of Adaptive Clinical Systems. Adaptive Clinical offers best-in-class clinical trial interoperability solutions including the Adaptive eClinical Bus®, their flagship product that allows disparate third-party systems to connect easily to a common framework for passing data back and forth, and transform raw data ready for analysis by the sponsors. The Adaptive eClinical Bus® harmonizes all the necessary third-party vendors’ systems ranging from Clinical Trial Management System to analytic tools, and data from monitoring devices, or data aggregated from ePRO (Patient-Reported Outcomes) reports into single eCRFs in EDC (Electronic Data Capture) with a secure and easy web interface. Furthermore, the Adaptive eClinical Bus® extends its use by providing bi-directional, real-time transfer of statistical and analytical data to sponsors at any point in the on-going clinical trial. The firm has served numerous companies who have been able to realize significant gains from increased interoperability. 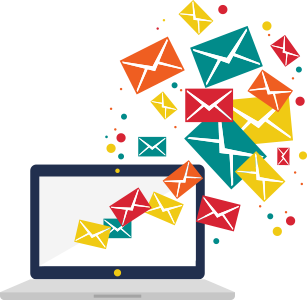 A recent collaboration was with a Medical Imaging Clinical Trials Technology provider, who sought to begin by offering CRO (Contract Research Organization) service which turned out to be cumbersome, costly, inefficient, and error-prone. 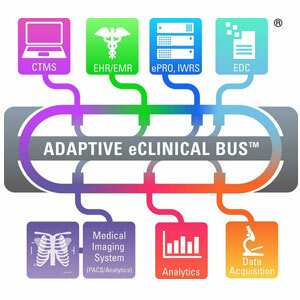 Adaptive Clinical’s Adaptive eClinical Bus® helped by connecting the customer’s hardware with other vendors’ software to create a more optimized clinical trial. The resulting solution was able to provide fast, accurate, real-time data. Additionally, the integrated system provided scalability, full data visibility, and required little or no change to existing applications or automated processes. In mid-2015, the FDA issued an inquiry for demonstrations showing challenges and benefits of interoperability between the EMR (Electronic Medical Records) and EHR (Electronic Health Record) and EDC. The report reflected how Adaptive Clinical’s solutions presented a greater benefit to clinical trial operations with disparate systems, by leveraging electronic data capture to connect and integrate untapped data pools. With the FDA’s appreciation of vendors like Adaptive Clinical and their mission, the firm aims to continue its deployment of advanced solutions in clinical trial interoperability.